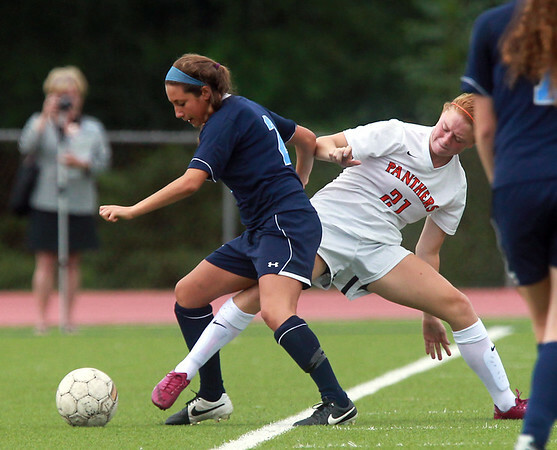 Peabody midfielder Ariana Raneri (2) tries to keep control of the ball while being pressured by Beverly captain Rose Terner (21) during the first half of play on Thursday afternoon. DAVID LE/Staff photo. 9/11/14.